Congratulations to tour winner Silke W. and to host winner The Avid Reader. 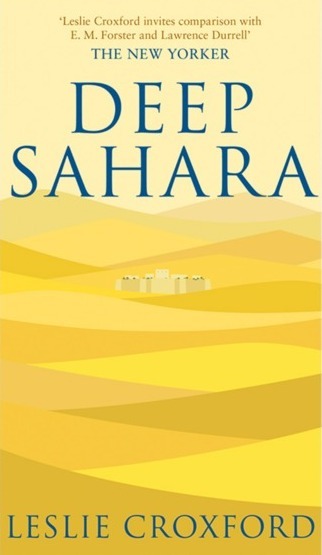 Goddess Fish Promotions is organizing a Virtual Name Before the Masses Tour for Deep Sahara by Leslie Croxford, a Thriller available now from Momentum Co. The tour will run every Tuesday for 8 weeks starting on December 4, 2017 to February 5, 2018, and Leslie is available for guest post and interviews. If you would like to review this book, please see the Reviews Only tour, here. Leslie will be awarding $10 Amazon or B/N GC to a randomly drawn winner via rafflecopter during the tour, and a $10 Amazon or B/N GC to a randomly drawn host. Klaus Werner travels to the Algerian Sahara to research a book on desert insects. He is billeted in a local monastery, but upon arrival he finds it empty of its inhabitants.He soon discovers that it is a recent crime scene. I'd like to host on Dec 11 with an interview at Reviews and Interviews. thank you! I can host a guest post (author's choice) on Sharing Links and Wisdom on Jan. 8. I would love to host on 01/15/18 on Fabulous and Brunette!! I would prefer a guest post spot - thanks!! I would like to host on January 25 @The Avid Reader with an interview. I can do an author interview on Feb. 5th.